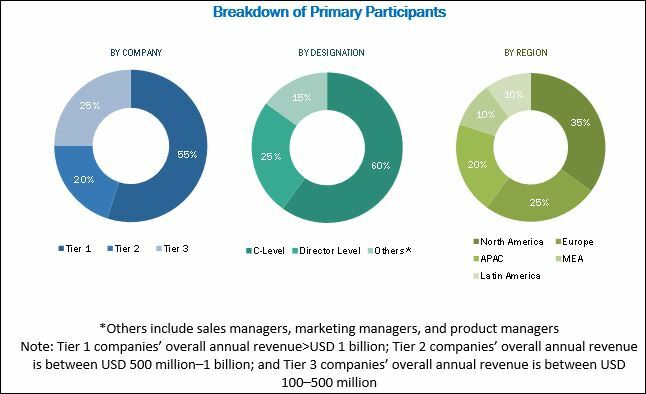 [244 Pages Report] The global cybersecurity market size was valued at USD 137.63 billion in 2017 and is projected to reach USD 248.26 billion by 2023, growing at a Compound Annual Growth Rate (CAGR) of 10.2% during the forecast period. The base year considered for the study is 2017, and the forecast period considered is 2018–2023. Cybersecurity is a set of processes and practices designed to safeguard endpoints, networks, applications, and data from advanced threats and vulnerabilities. Enterprises are required to adopt set of security technologies, solutions, tools, policies, security concepts, guidelines, risk management approaches, and professional and managed services to protect the critical enterprise information and infrastructure from the growing volume and sophistication of cyber-attacks. Cybersecurity solutions and services help businesses secure their critical data, such as intellectual property, financial data, personal information, or other confidential data, which rise due to unauthorized access or attacks. To define, describe, and forecast the cybersecurity market by component (solutions and services), security type, deployment mode, organization size, industry vertical, and region. 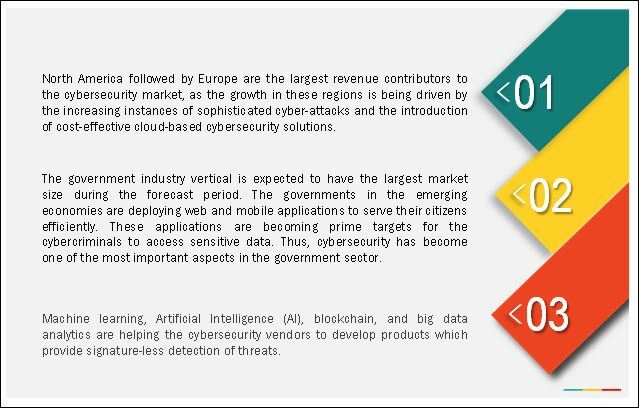 To provide detailed information regarding the major factors (drivers, restraints, opportunities, and challenges) influencing the growth of cybersecurity market. To analyze opportunities in the market for stakeholders by identifying high-growth segments of the cybersecurity market. To profile the key players of the cybersecurity market and comprehensively analyze their market size and core competencies in the market. To track and analyze competitive developments, such as new product launches; mergers and acquisitions; and partnerships, agreements, and collaborations in the global cybersecurity market. The cybersecurity market comprises several key vendors, such as IBM (US), Check Point (US), Cisco (US), CyberArk (Israel), F5 Networks (US), FireEye (US), Forcepoint (US), Fortinet (US), Amazon Web Services (US), Oracle (US), Palo Alto Networks (US), Imperva (US), Qualys (US), RSA Security (US), F-Secure (Finland), McAfee (US), Micro Focus (UK), Microsoft (US), Proofpoint (US), Rapid7 (US), Sophos (UK), Splunk (US), Symantec (US), Trend Micro (Japan), and Juniper Networks (US). These vendors offer cybersecurity solutions and services to end-users and cater to their unique business requirements, and productivity, compliance, and security needs. These Cybersecurity Software Vendors are rated and listed by us on the basis of product quality, reliability, and their business strategy. Please visit 360Quadrants to see the vendor listing of Cybersecurity Software. In April 2018, Symantec announced the development of a powerful threat detection technology, which was used by its world-class research teams. Symantec’s Targeted Attack Analytics (TAA) enables ATP, thereby helping customers leverage advanced machine learning and discover targeted attacks. In April 2018, IBM Security and McAfee extended their partnership to integrate IBM IRP with Data Exchange Layer (DXL) and provide better protection through automation and intelligence sharing. In April 2018, Palo Alto Networks acquired Secdo, an Israel-based incidence response solution provider. With this acquisition, the company integrates its security operating platform with Secdo’s endpoint detection and response capabilities to offer rapid detection and response services to enterprises to detect malicious attacks. 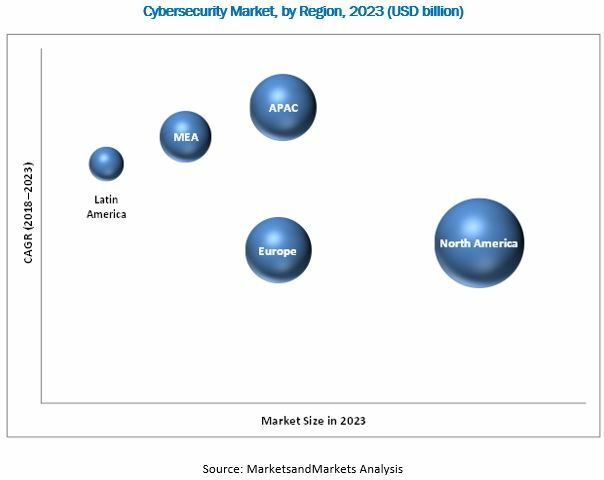 MarketsandMarkets forecasts the global cybersecurity market size to grow from USD 152.71 billion in 2018 to USD 248.26 billion by 2023, at a Compound Annual Growth Rate (CAGR) of 10.2% during the forecast period. The cybersecurity market is segmented on the basis of component (solutions and services), security type, deployment mode, organization size, industry vertical, and region. Increase in the frequency and sophistication of cyber threats, stringent data protection regulations for information security, and rise in the number of supply chain-based attacks exploiting the software supply chain are expected to drive enterprises to adopt cybersecurity solutions and services for detecting and responding to advanced cyber threats and data breaches. Moreover, Small and Medium-sized enterprises (SMEs) are adopting cybersecurity solutions at a large scale, as they are more vulnerable to cyber-attacks and data breaches. With the adoption of cybersecurity solutions, organizations can effectively maintain and secure their critical information from data breaches and respond to cyber incidents more efficiently. Cybersecurity solutions help organizations optimize employees’ productivity, protect sensitive data and applications, and comply with stringent regulations. The cybersecurity market by solution is segmented into Identity and Access Management (IAM), risk and compliance management, encryption, Data Loss Prevention (DLP), Unified Threat Management (UTM), firewall, antivirus/antimalware, Intrusion Detection System (IDS)/Intrusion Prevention System (IPS), security and vulnerability management, disaster recovery, Distributed Denial of Service (DDoS) mitigation, web filtering, and others (application whitelisting and patch management). The IAM solutions segment is expected to dominate the market during the forecast period and estimated to have the largest market size in 2018. Encryption solutions play a key role in changing the cybersecurity marketspace and enable enterprises to hide their critical data from unauthorized bad actors. As a result, the encryption solutions segment is expected to grow at the highest CAGR during the forecast period. Among the security types, the network security segment is estimated to have the largest market size during the forecast period. The growth in the network segment is associated with the rise in the number of security breaches targeting networks where hackers try to gain access to sensitive data. As the vulnerabilities have become more complex and sophisticated, the demand for network security products is expected to increase for countering the threats. The market size of application security segment is expected to grow at the highest CAGR of during the forecast period due to the increasing number of malware, APTs, and phishing attacks. Among regions, North America is estimated to hold the largest market size in 2018. North America is a region of innovative technology adopters and has a large presence of cybersecurity vendors who are contributing to the growth of the market. The increasing need among organizations to reduce the misuse of the internet, enhance employees’ productivity, and address attacks on their IT infrastructures is expected to drive the growth of the cybersecurity market in North America. Furthermore, APAC is expected to grow at the highest CAGR during the forecast period. Rapid economic growth, and regulatory reforms and economic stability are expected to drive the growth of the cybersecurity market in APAC. In the APAC region, enterprises in industry verticals such as government; aerospace and defense; and Banking, Financial Services, and Insurance (BFSI) are expected to increase their investments in cybersecurity solutions and services. Increased adoption of cybersecurity solutions and services in government, aerospace and defense, and Banking, Financial services and Insurance (BFSI) industry verticals drive the growth of the cybersecurity market. The government industry vertical is expected to have the largest market size during the forecast period. The governments in the emerging economies are deploying web and mobile applications to serve their citizens efficiently. These applications are becoming prime targets for the cybercriminals to access sensitive data. The concept of eGovernance has led the government to focus more on information security threats. Moreover, as organizations are shifting toward real-time communication, threats from web browsing, email correspondence, peer-to-peer traffic, and file exchange have considerably increased. Thus, cybersecurity has become one of the most important aspects in the government sector. Security threats in the aerospace and defense industry vertical are increasing at an alarming rate. This sector is targeted to extract highly confidential and sensitive data of critical sectors, including the government, prime contractors, and suppliers. The existence of big data and increased digitalization in almost all the aspects of the armed forces leads to high chances of being attacked by cybercriminals. Next-generation firewalls, IPS, antimalware gateways, and endpoint security applications are capable of protecting data from known threats, but attackers have innovated many techniques to bypass these products and access confidential data. Hence, the protection of the data and applications is a top priority for the aerospace and defense industry vertical and the sector is scouting for comprehensive security strategies. The BFSI industry vertical is an early adopter of cutting-edge cybersecurity solutions due to the highly sensitive financial data. It faces different challenges related to stringent regulatory and security requirements, providing superior service to customers, and others. In addition, the industry is always on the lookout for security products and services that could protect the industry’s employees, customers, assets, offices, branches, and operations, and therefore holds a significant share of the total cybersecurity market. The industry frequently introduces new and improved financial products and services to enhance their business operations, which makes it attractive for frauds to target sensitive customer information. With facilities such as smart banking, internet banking, and mobile banking, the BFSI sector is required to prioritize the adoption of cybersecurity solutions. Which are the substitute products and how big is the threat from them? Which are the top use cases where cybersecurity solutions and services can be implemented for revenue generation through new advancements such as artificial intelligence, IoT, and cloud computing? The increasing adoption of cloud-based solutions and services among enterprises is expected to provide significant growth opportunities to cybersecurity solution and service vendors such as IBM (US), Check Point (US), Cisco (US), CyberArk (Israel), F5 Networks (US), FireEye (US), Forcepoint (US), Fortinet (US), Amazon Web Services (US), Oracle (US), Palo Alto Networks (US), Imperva (US), Qualys (US), RSA Security (US), F-Secure (Finland), McAfee (US), Micro Focus (UK), Microsoft (US), Proofpoint (US), Rapid7 (US), Sophos (UK), Splunk (US), Symantec (US), Trend Micro (Japan), and Juniper Networks (US). These security vendors provide various cybersecurity solutions and services to secure their customers from advanced cyber-attacks. As the frequency of security breaches has increased over the past 5 years, organizations have increased their IT security investment to ensure protection against advanced threats. However, for many enterprises, including SMEs, these investment costs are a matter of concern. To maintain strong and advanced security, the cost of innovation is still high. Hence, many organizations view budgetary constraints as a barrier to the adoption of advanced cybersecurity solutions and services.